Morning All! Happy Saturday! I'm so glad the weekend is finally here. Of course it will be crazy for us with soccer and softball tournaments, but I Love the fall weather and the sun is shining, so who can complain too much! I linking up today with Amanda at Teaching Maddeness for her Friday Flashback linky Party. This week my classroom was busy! My sixth grade friends have FINALLY-- ALMOST settled into a routine, gotten their lockers open consistently and are getting to classes on time. We focused on our Writer's Notebook this week and implementing our Daily 3 schedule. I use a version of Nancy Atwell's Writer's Workshop. We are starting with a quick nit on Personal Narratives and then moving into the bulk of our writing which will focus on informative pieces. 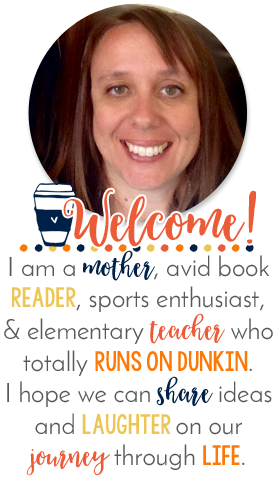 I made a slide show to share some information about myself with my students. I included pictures from my life, favorite things, memories etc... even a picture of me on MY first day of sixth grade... they got a chuckle from that one. 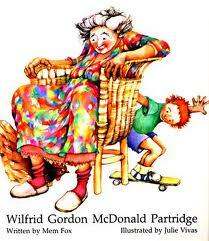 Next week I will read Wilfred Gordon McDonald Partridge by Mem Fox. Have you read this book? It is great for memoirs, and modeling seed writing. That's where our focus will be next. We are continuing with our Interactive Math Notebooks, a post I am still trying to get organized and will put out later this week. Lastly we had a great opportunity to be part of a community event this week. In our area the Center for Missing and Exploited Children participates in a 100 mile bike ride to raise money for this charity. Their ride began close to our school on Friday morning, and a staff member was participating. All of the riders came through our bus loop! We were able to go outside during our 1st period class and cheer them on! My class was so excited. We are spending a lot of time this year focusing on character building and community. We have had 2 guest speakers into our school talking about the internet and safe usage. We also started a no bullying project called One Clip at a Time. What have you been up to this past week? Head over to Teaching Maddeness and link up with Amanda to let us know! Thanks for linking up, Michele! 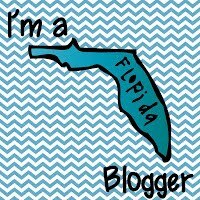 I love when I find new blogs through the linky parties. ;) Don't you just LOVE that we're finally starting to see the routine again! Ahh...I love it! Sounds like you had a great week!